Let me tell you, I don’t think I’ve seen a “better” example of this than poll numbers released by the pro-abortion Irish Times on the level of support for repealing the 8th amendment to the Irish Constitution. 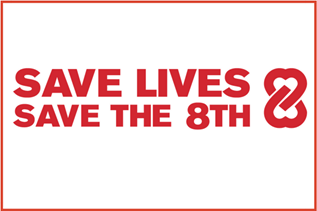 As you know from our many, many posts, the 8th amendment provides equal rights to mothers and unborn children and a referendum on whether to repeal it will take place May 25. Before going through the Irish Times’s statistical sleight of hand, remember that the repeal comes along with empowering the Irish Parliament to legislate on abortion. The government and the entire secular Irish media says the proposed language would “only” allow abortion through 12 weeks. In fact, it would, at a minimum, allow abortion through viability (the sixth month). See www.rights.ie/more-info. The Irish public is told that 63% will vote in favor of “removing the 8th amendment,” according to a Irish Times/Ipsos MRBI poll. Is that true? No! In fact among those who responded yes or no, 47% said yes, 28% said no. That is still a solid advantage for the “yes” vote but far from 63%. Where/how did the Irish Times comes up with 63%? This is so dishonest it boggles the mind. But it is of a piece with the propaganda campaign and efforts to stifle pro-life voices that grows in intensity as May 25 approaches. [Tip of the hat to Deborah Piroch].